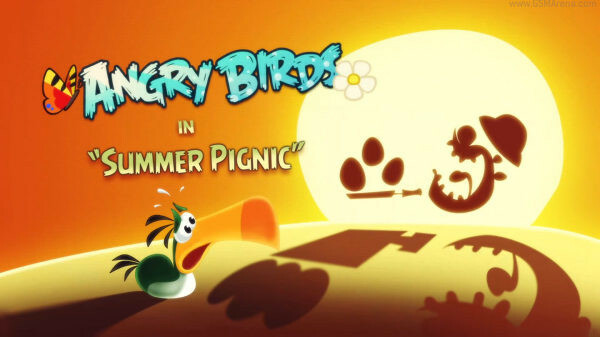 The Angry Birds Seasons episode – Summer Pignic got its final level unlocked yesterday and if you’re already feeling sad to see it end you can watch this cool trailer made for the episode by creator RovioMobile. The video shows the typical birds-vs-pigs battleground situation, a slingshot and the eggs being held hostage. It looks as though the pigs will prevail until the boomerang bird swoops in to save the eggs seconds before it’s too late. The trailer is cool but for me it doesn’t hold a candle to the “Angry Birds: Season’s Greedings!” trailer.